West Elm has dominated the collaboration game time and time again, remember - Kate Spade Saturday, Feed & Baggu to just name a few. 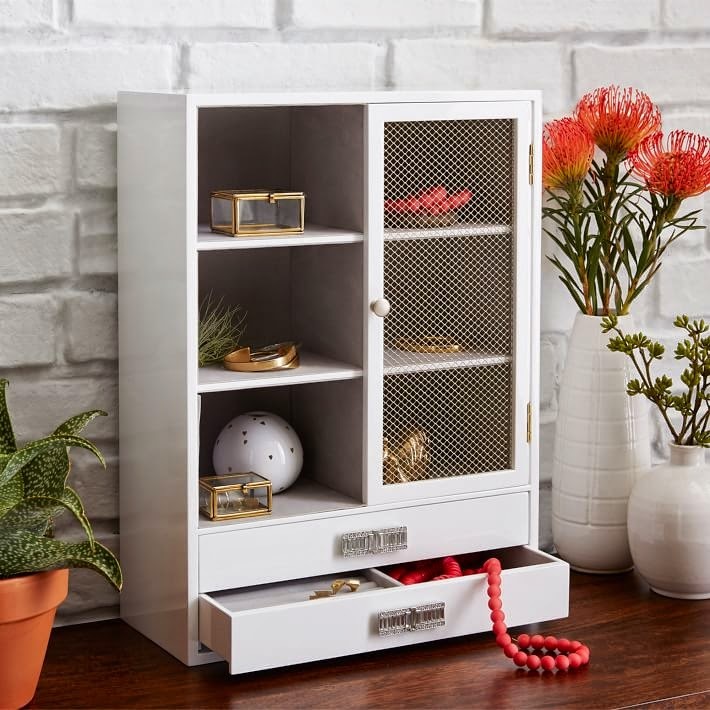 Well they are at it again with quite possibly two of my favorite brands joining forces to create truly beautiful pieces for your home. 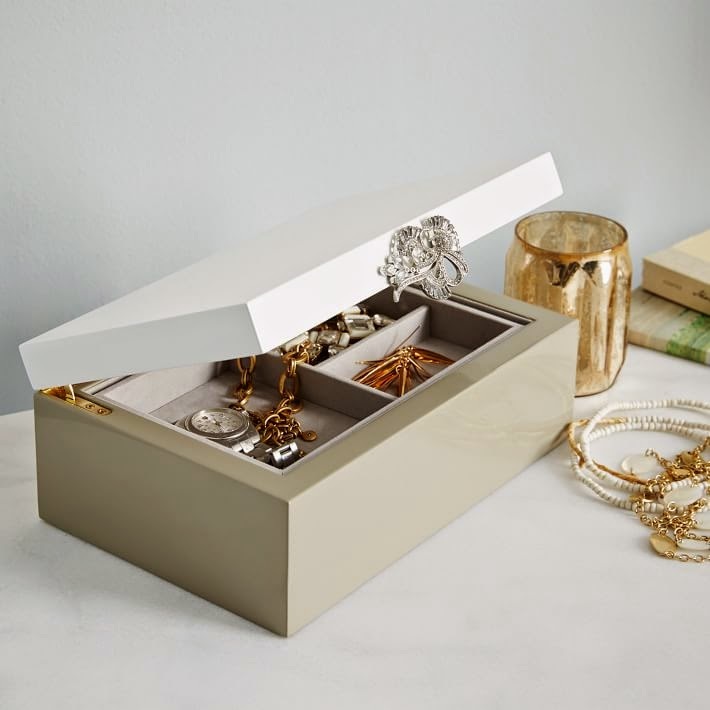 West Elm x Lulu Frost has combined modern, clean lined jewelry displays and boxes with gorgeous jewelry like closures, pulls and design that boasts the truly unique signature style of Lulu Frost. To say I am obsessed with the end result is a strong understatement. 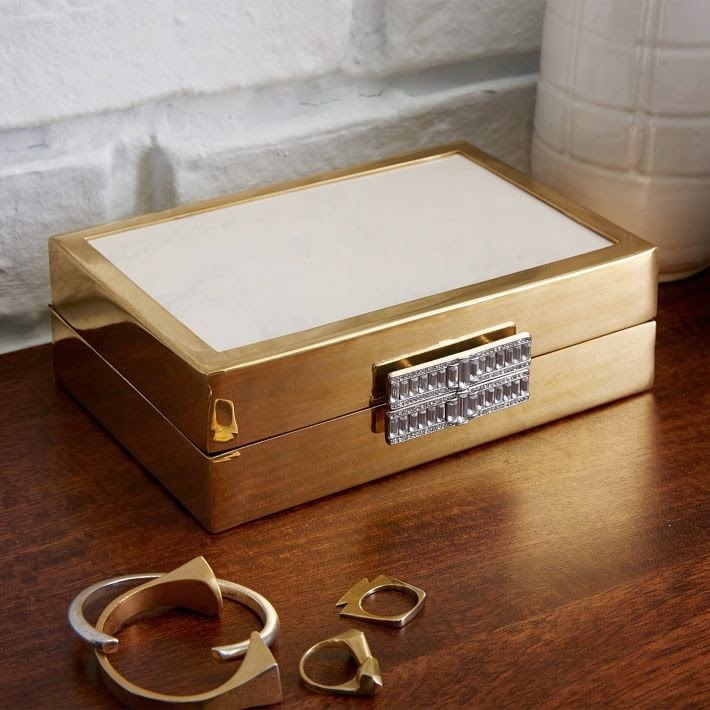 I absolutely adore the deco design of the entire line and plan on picking it all up to have in a future home where I have space to properly display my favorite jewelry. Take a look for yourself at the stunning sets below. Which is your favorite? 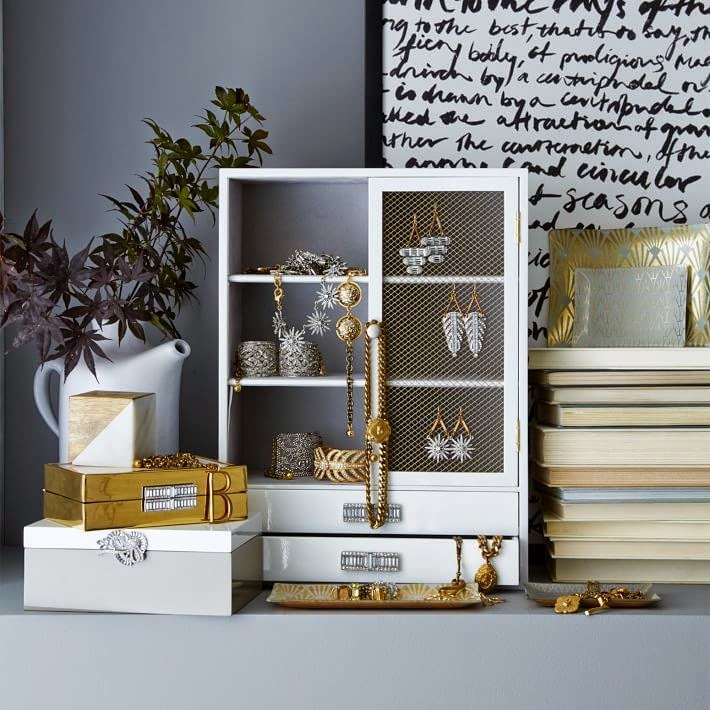 What goes better then those beautiful bauble displays besides some new jewelry? 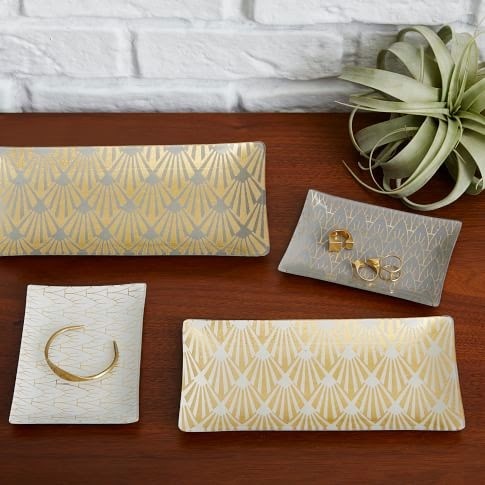 A few of my Lulu Frost favorites to adorn yourself with - some are even on major sale right now at J.Crew with code SPRINGSALE.